FBI Director Chris Wray sent an internal email to FBI employees Monday amid concerns about morale. On Sunday in a tweet President Trump had disparaged the Bureau as having a reputation "in tatters -- worst in history." 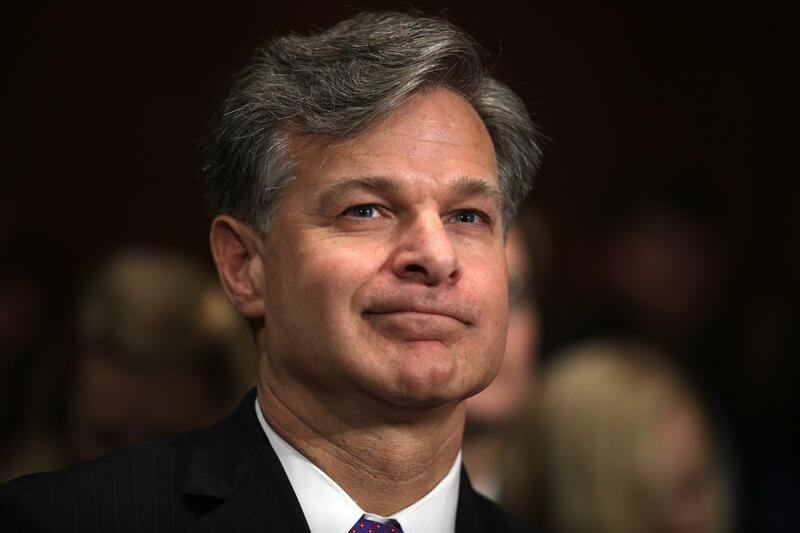 In the email, which was obtained by CBS News, Wray told staff Monday morning that he would be testifying on Capitol Hill later this week and that as he prepares, " I am continually reminded of the breadth and significance of our work." Wray said he was, "inspired by example after example of professionalism and dedication to justice demonstrated around the Bureau. It is truly an honor to represent you." He did not acknowledge the president's criticism but he did write, "We find ourselves under the microscope each and every day -- and rightfully so. We do hard work for a living. We are entrusted with protecting the American people and upholding the Constitution and laws of the United States. Because of the importance of our mission, we are also entrusted with great power, and we should expect -- and welcome -- people asking tough questions about how we use that power. That goes with this job and always has." He implored staff, "Please continue to keep focused on our critical mission with fidelity, bravery, and integrity. The American people rightly expect this from us." Wray then signed off with what he called one of his "favorite work ethic maxims" -- "Keep calm and tackle hard."